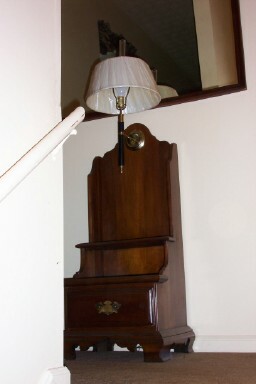 Barry Goodall of Louisville sent me these photos of rare and valuable Crotch Mahogany Willett furniture, and also a rare Cherry nite stand witrh a built-in lamp. 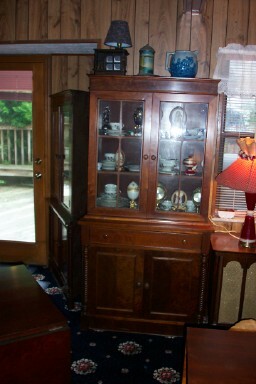 I wanted to show you a few examples of what is available. 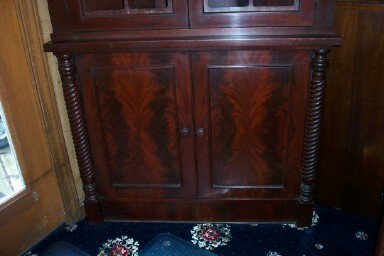 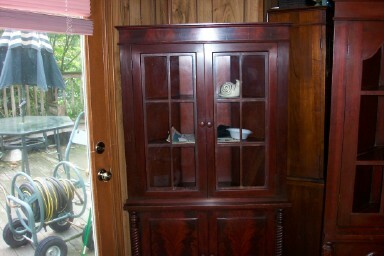 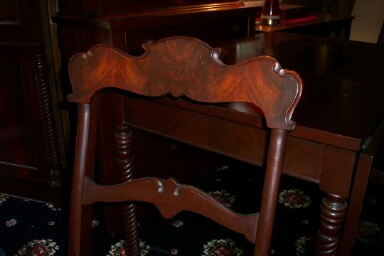 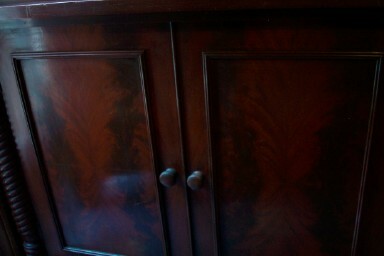 The cherry corner cabinet has crotch mahogany, as does the chairs, server and table. 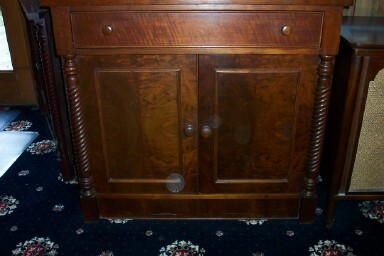 There is solid black walnut buffet with burl doors, etc. 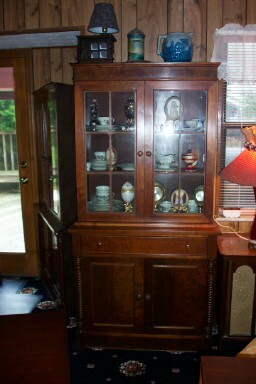 There is a matching china cabinet. 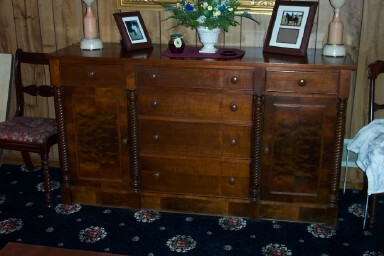 The furniture that I just listed was all made in the 30's. 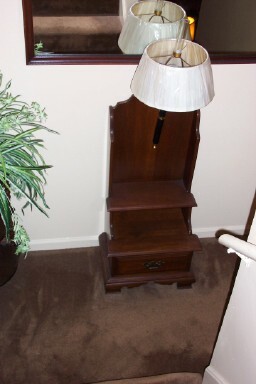 Also, there is a Willett nite stand with a built-in lamp that was made much later. 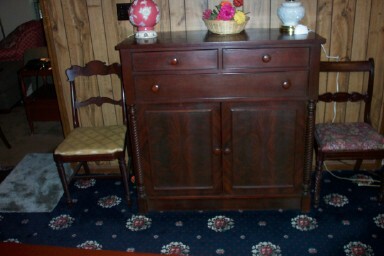 This is the only one I've seen..
We generally carry a large inventory of Willett furniture including dining room, bedroom, and miscellaneous tables, chairs, etc. 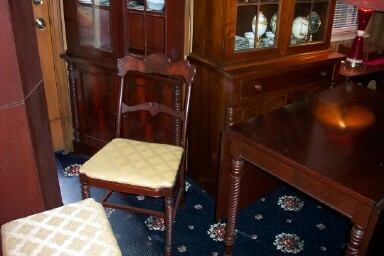 Please feel free to contact us and we will be glad to discuss this marvelous furniture with other interested parties. 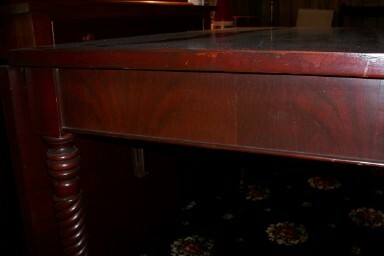 We also have a digital camera and can take and send photos on request.